Making music is hard. We’ve all been there. You get the itch, a sudden jolt of inspiration pops into your head, and you want to capture this fresh idea immediately. But then technology gets in the way. You have to start clicking around with your mouse, and then you lose your enthusiasm. Ready to overcome that frustration? In case you missed our first update a few weeks back, it’s time to consider levelling up your production and acquiring a Push. Watch it here. 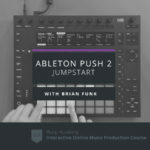 Ableton has pulled out all the stops to provide the ultimate integration with Ableton Live and Push. With the recent Live 9.7 update, Push now has some epic new visual upgrades and capabilities. 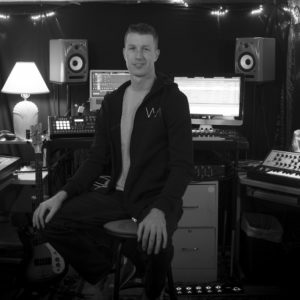 Ableton Certified Trainer, Brian Funk aka. AfroDJMac shares part 2 of our series on the must know updates that become available with Live 9.7. In this tutorial Brian will give you a full walkthrough of the new Push 2 visual upgrades, including how you can customize colours inside of Live’s user interface, directly from your Push! He also spill the beans on new clip phase visual indicators that have been added. Let’s take a look!